My dog is having a seizure. What do I do? Seizures can have many different causes, from toxins (such as compost or chemicals) to epilepsy and even brain tumors. Each cause for seizure has a different treatment. There is variety in severity from mild facial twitching to a grand mal seizure, which is the violent shaking often coupled with loss of consciousness that most people associate with the word “seizure”. Watching your pet have a seizure is difficult and unnerving, but it is important that you try to remain calm during the episode so that you can observe and collect information that will help your veterinarian rapidly, and correctly, diagnose and treat your pet. After remembering to remain calm, your next step should be safety first. By this, I mean YOUR safety. A seizing pet often experiences at least partial loss of consciousness, and is quite likely to bite you, even if it has never bitten anyone or shown any sign of aggression. During a seizure, your pet is in an altered state of mind, and may not recognize you and certainly does not understand what is happening to it. If you MUST move your pet for safety reasons, use a blanket or towel as a barrier between your hands and the pet’s mouth, and then remove the barrier immediately so as not to interfere with your pet’s ability to breath. Don’t even think about trying to move your pet’s tongue! Your pet will not swallow its tongue, but may very well bite its own tongue…and your hand if it is nearby. Your next step should be to take note of the time the seizure started. It seems like time stands still when you find your pet in a state in which you cannot help them. Most seizures do not last more than a few seconds to minutes, but if the seizure DOES last 5 or 10 minutes or longer, your veterinarian needs to know this information! When the seizure ends, your pet can experience what we call a “post-ictal” stage. Generally, at this point your pet has regained consciousness, but may seem drowsy or drunk, or what we often hear described as “a little off”. This is normal after a seizure and may last minutes to hours. During this stage, try to protect your pet from accidentally injuring his/herself from sliding on slick surfaces or running into objects. Now is the time to start remembering if your pet has had contact with or ingested any type of chemical, plant, or other unusual object. Also think if your pet had any unusual behaviors in the past few days. We recommend that you have your pet seen by a veterinarian after having the first seizure or immediately after any seizure lasting more than 5 minutes. Your pet may not be in immediate danger, as if often the case with epilepsy, but seizures due to toxins can be life threatening. When you arrive at the clinic, your vet or their staff will ask you questions about the circumstances surrounding the seizure. What was happening when the seizure started? Has your pet been exposed to any potential toxins? Has your pet ever experienced a seizure before? How long did the seizure last? 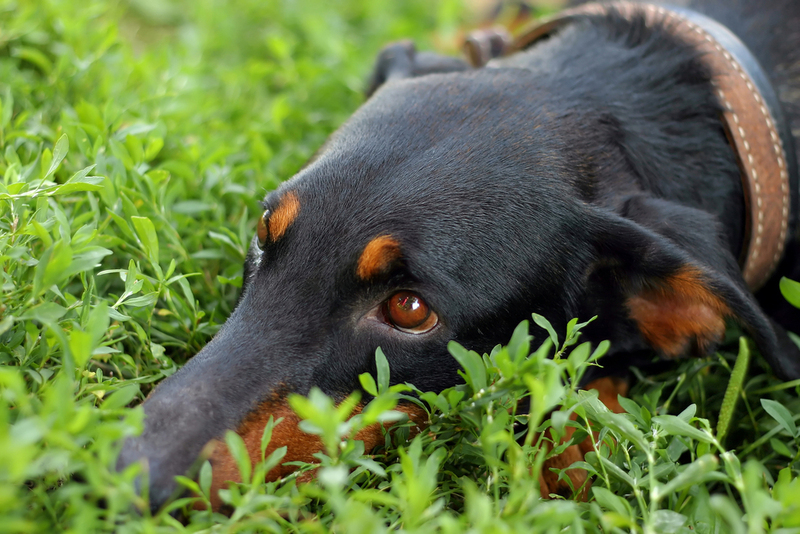 Did your pet lose consciousness? If you have followed these steps, you will be prepared to help your vet correctly diagnose and treat your pet.